Check Out the Trailer for ‘Gangster Squad’!!! ‘Gangster Squad’ takes place in Los Angeles, 1949. Ruthless, Brooklyn-born mob king Mickey Cohen (Sean Penn) runs the show in this town, reaping the ill-gotten gains from the drugs, the guns, the prostitutes and-if he has his way-every wire bet placed west of Chicago. And he does it all with the protection of not only his own paid goons, but also the police and the politicians who are under his control. It’s enough to intimidate even the bravest, street-hardened cop…except, perhaps, for the small, secret crew of LAPD outsiders led by Sgt. John O’Mara (Josh Brolin) and Jerry Wooters (Ryan Gosling), who come together to try to tear Cohen’s world apart. 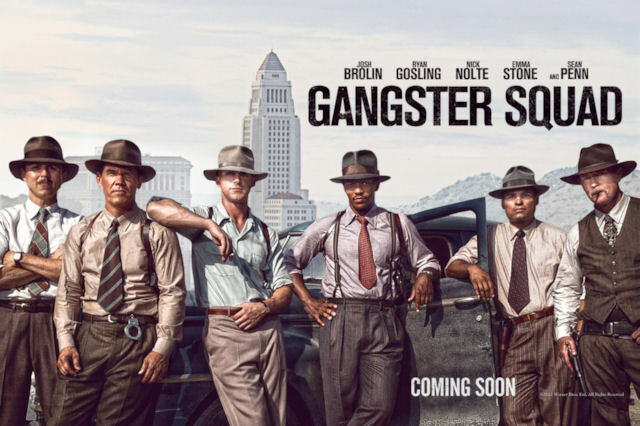 “The Gangster Squad” is a colorful retelling of events surrounding the LAPD’s efforts to take back their nascent city from one of the most dangerous mafia bosses of all time. This is the 2nd trailer for the film. It looks good. 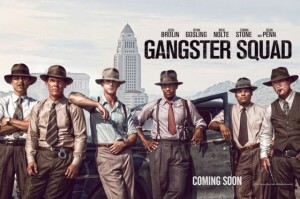 ‘Gangster Squad’ will be released September 7th, 2012. Check Out The New Trailer for ‘Gangster Squad’!!! The ‘Gangster Squad’ Trailer is Up!!! Looks Great!!! Nick Nolte Joins Ruben Fleischer’s ‘Gangster Squad’!!! This entry was posted on Wednesday, July 11th, 2012 at 2:11 pm	and is filed under Film, News. You can follow any responses to this entry through the RSS 2.0 feed. You can skip to the end and leave a response. Pinging is currently not allowed. « Eli Roth Might Direct A Film Starring Russell Crowe as Dracula!!! Life is a fragile thing, Har. One minute you're chewin' on a burger, the next minute you're dead meat. But he blamed me. You heard him. Those were his last words. Not if you count the gurgling sound.